Food trucks aren’t typically stationary. They move from city to city selling their delectable menu items. For trucks that work within colder climates, a growing trend is relocating to warmer climates during the winter months. No has tracked how many food trucks relocate to different states each year, but certainly many do. When moving your food truck to another state, there are important things to consider such as finding suitable commissary space in the new state, applying for permitting from the new state or city, working with staff for a smooth transition to the new location, keeping customers informed, acclimating yourself with the new location and, physically transporting the truck to the new area. But there’s one more important thing to consider when moving your food truck. 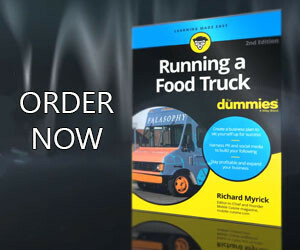 What to do about your food truck business’s organization? Food trucks that are registered as sole proprietorships and partnerships simply move and register to do business by filing a DBA in the new state. But if you are a corporation or a limited liability company (LLC), business entities, you need to make certain decisions and take formal actions. Here are your options when moving your food truck, depending on which type of entity your food truck business is. When a food truck corporation moves its corporate offices to a new state, it must decide how to proceed. Continue as a food truck corporation in the old state and register as a foreign corporation doing business in the new state. Dissolve the corporation in the old state and form a corporation in the new state. Do a reorganization where a food truck corporation is formed in the new state and the old corporation is merged into it. Which of these options is better for food truck vendors? Unfortunately, there is no best answer. Base your choice on the states you are moving your food truck to and from. Food trucks that are organized as limited liability companies that relocate from one state to another face similar choices as corporations. However, in the case of LLCs, the choices are even greater on how to handle the relocation from an organizational standpoint. Continue the food truck LLC in the old state and register to do business as a foreign LLC in the new state. Liquidate the LLC in the old state and form an LLC in the new state. Form an LLC in the new state and then have members (owners) contribute to it their membership interests from the original LLC. Form an food truck LLC in the new state and merge the existing LLC into it. Maintaining the food truck LLC in the old state and becoming a foreign LLC in the new state means duplicate annual fees. It can also complicate tax filing for the vendors. Liquidating an LLC does not entail any federal tax consequences. Since the LLC is a pass-through entity, the LLC does not report any gain from the liquidation. Merging the food truck LLC from the old state into an LLC formed in the new state is viewed as a continuation of the old LLC. No new federal EIN is required although the LLC in the new state must obtain a new EIN, which would be used only for a few days–until the merger is completed. While moving your food truck to another state may seem like a great idea. You need to take these legal/accounting considerations before you officially make the move. Our best advice is to speak with both attorneys and accountants in each state you are considering moving to so you can find out how the laws in each region will affect your food truck business. Is It Time Break Up Your Food Truck Partnership?